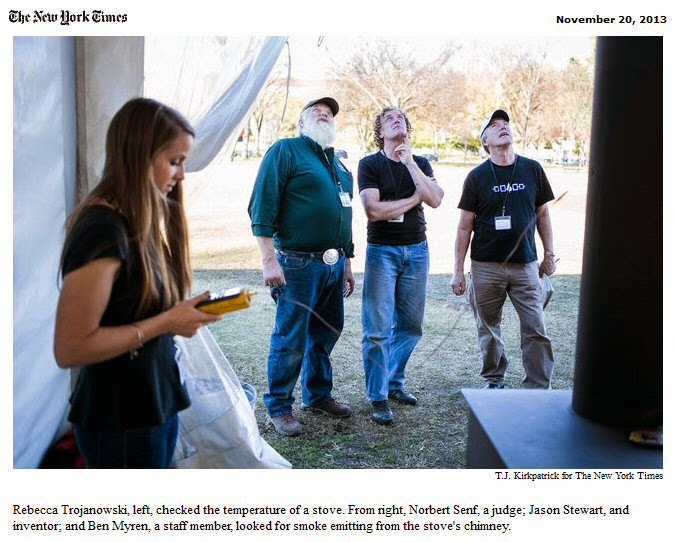 Reproduced below are the absract and introduction of a 17-page paper that gives an excellent overview of the technical aspects of testing stoves on the National Mall for the Wood Stove Decathlon, held in November 2013. To read the entire report, click here. 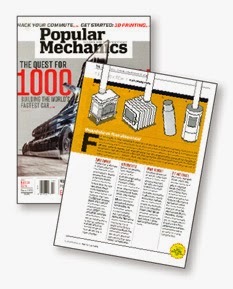 Popular Mechanics magazine initiated a Wood Stove Design Challenge (WSDC). The selected teams designed stoves that incorporated the best practices in design and operation to maximize efficiency and minimize PM and carbon monoxide (CO) emissions since most often high emissions are seen as a result of incomplete combustion. Further, a testing protocol for the challenge was developed specifically to measure the emissions in a non-laboratory setting. Standard testing procedures may not be representative of in-use fuel and operational practices and, due to the competition venue and schedule contstraints, could not be used for the WSDC. New portable PM sampling technology released in the European market recently was adopted for the competition and evaluated to current U.S. PM measurement methods to build a correlation. particulate sampler to test a stove. As the price of heating oil has increased, more residents in the northeastern region of the United States have returned to heating with wood. Most existing wood stoves date from before the Environmental Protection Agency (EPA) implemented emission certification requirements for these devices. These less efficient wood stoves often cause high amounts of smoke, yielding particulates known to trigger coughs, throat and mucosal irritation, acute respiratory infections, occurrence of asthma and other diseases over prolonged exposure. A review from Bølling et al. reported residential wood combustion has also been reported to contribute significantly to raised levels of air pollution locally, both with respect to increased levels of fine particles (particulate matter with an equivalent aerodynamic diameter < 2.5 μm; PM2.5), the organic particle fraction, particle bound polycyclic aromatic hydrocarbons (PAH) and volatile organic compounds. Even those wood stoves that do meet EPA’s Phase II requirements may have unacceptably high emissions once in use. This is due to several factors including the design of the appliance, weather patterns and location, combustion activity, wood species and quality, and operator habits. While the EPA is developing new regulations, the test method used for certification is not representative of in-use fueling and operational practices. 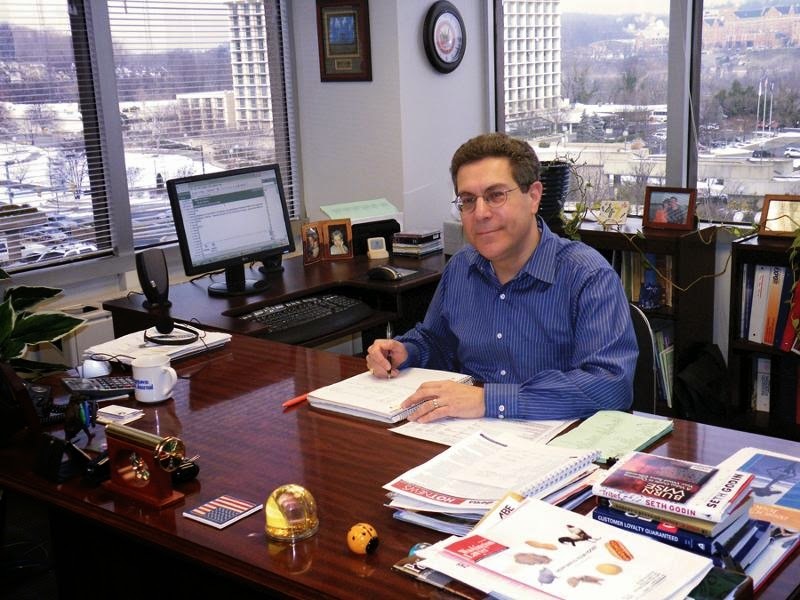 variability are needed in the U.S. heating market. Modern wood stoves have shown reduced reported emission factors compared to conventional wood stoves, 34-330 mg/MJ from 50-2100 mg/MJ, respectively. However, if the modern stoves are not operated correctly the combustion performance can be compromised yielding higher emissions. This event showcased advanced technologies that could help address the problem of increased particulate emissions and enable the continued use of wood as a renewable fuel. The teams selected came from various backgrounds, ranging from established wood stove companies to independent inventors and engineering student teams. Some of the stoves selected for the WSDC were controlled by microprocessors and connected to smartphones while others were ultra-efficient stoves based on 17th century Scandinavian designs. Several state-of-the-art hybrid stoves that are already on the market were also included4. Six of the 12 finalists were from Europe. Teams were judged on their innovation, emission and efficiency performance, affordability and consumer ease. 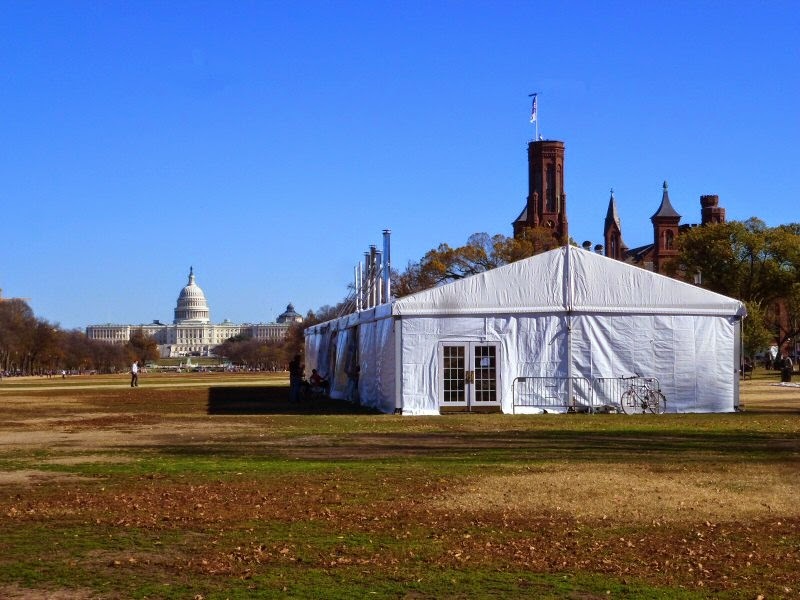 In November 2013 on the National Mall in Washington D.C., ten judges (made up of leading experts from Popular Mechanics, the New York State Energy and Research Development Authority (NYSERDA), the U.S. Forest Service, Washington State Department of Ecology, DOE’s Brookhaven National Laboratory (BNL), The Biomass Thermal Energy Council (BTEC), the Osprey Foundation, the Masonry Heater Association and UC Berkeley) tested and assessed the 12 stove finalists and announced an overall winner as well as winners in specific categories. A key challenge in this competition was measuring the particulate emissions accurately in a field environment. This project sought to develop an energy efficiency and emissions testing protocol for the WSDC which reduces the variability due to fuel and operations. 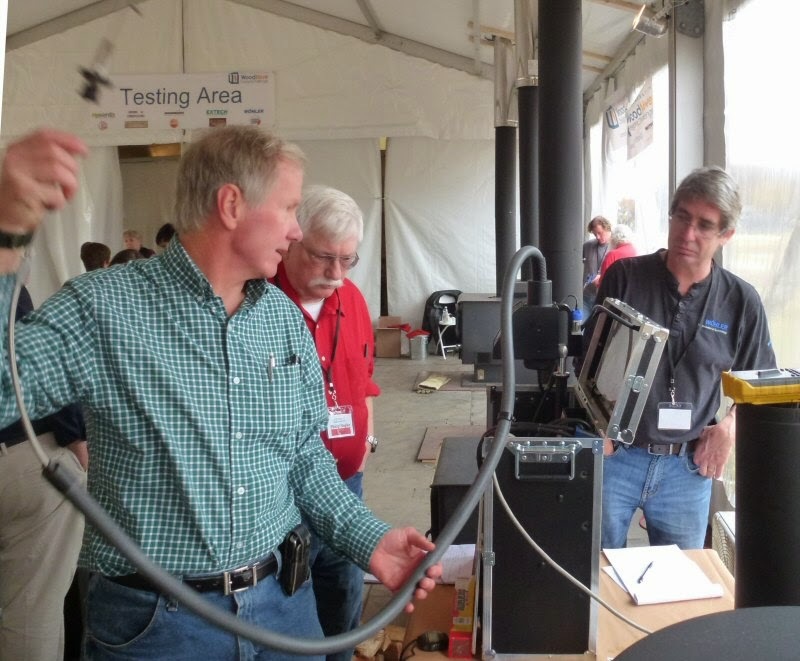 The current standard test method (EPA Method 28) involves testing stoves using a dilution tunnel. Since the WSDC was held at the mall in Washington D.C., this test method would not suit and so there was the challenge of measuring the emissions in a repeatable real-time way, in a non-laboratory environment. Recently, new portable particulate measurement systems have been introduced in Europe for field inspection of biomass heating systems. Two specific products were selected for use in this project the Testo 380 and Wöhler SM 500. Both analyzers are a low cost option and offer the advantage of ease and portability. To determine the accuracy, precision, instrument range, and applicability for use in the WSDC for thermal efficiency and emissions of these portable direct measure analyzers, an evaluation was conducted while simultaneously following the standard methods for determining the emissions. From laboratory testing, BNL developed a testing protocol implementing the analyzers for the competition. To read the entire PDF report, click here. For more information about the 2013 Decathlon, click here. For information about the 2014 Collaborative Stove Design Workshop, click here. In July, three men met in Canada for sensitive, private meetings to see if they could reach agreement on key sections of the proposed EPA wood heater regulations. 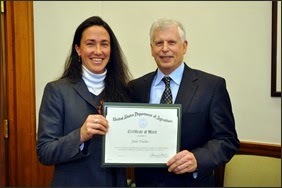 Two represented regional air quality agencies and one represented the wood stove and boiler industry. They were able to compromise on many issues, but were too far apart to reach any agreement on many others. 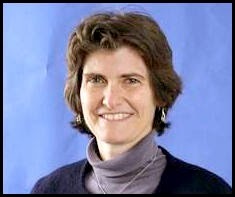 More than a month later, after consulting with their members, they flew to Washington and presented their consensus positions to EPA Acting Assistant Administrator Janet McCabe. (NESCAUM), Dan Johnson of Western States Air Resources Council (WESTAR) and Jack Goldman of the Hearth, Patio & Barbecue Association (HPBA). The meeting arose from efforts by the air agencies and it was agreed that only the principals of each institution would take part in the face-to-face meetings as they were under a tight timeline and needed to keep the discussions high-level. The EPA was not part of these discussions nor present, and is under no obligation to adopt any of the consensus positions. However, it is expected that the agency is likely to adopt many of them. Most of the areas of agreement were around sell-through, grandfathering, certification extension and cordwood testing timelines. There was no mention of emission levels in the document. The EPA posted the three-page consensus document in the official record. The positions reflect an effort by the three institutions to reach consensus but do not necessarily reflect the positions of all the groups' members. Some manufacturers feel that the HPBA has not represented them aggressively enough, and the consensus positions deal with each technology very differently. For example, the consensus position is toughest on outdoor boilers as it does not recommend any grandfathering or sell-through of unqualified boilers. 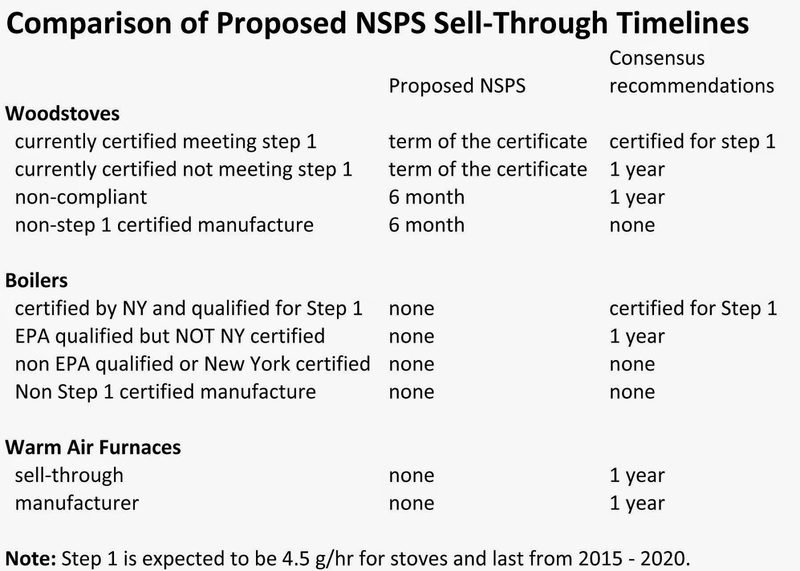 The position on exempt wood stoves is more lenient: a one-year sell-through. Even more lenient is the position on unregulated indoor warm air furnaces, which would get a one-year extension for manufacturing and an additional sell-through year, for a total of two years. The other major area of agreement is that the switch to cordwood testing for certification should happen, but it is not feasible to implement immediately. Both sides agree that the EPA should move in that direction but a clearly defined test procedure and a more robust database of cordwood testing is needed. However, the consensus paper is silent on the drawn out ASTM cord wood fueling protocol process and instead proposes that a cordwood protocol be developed by a working group established by the EPA under the Federal Advisory Committee Act (FACA). This would be the protocol used to build the database of emissions from cordwood testing. It is unclear if this protocol could capture start-up emissions, or how it would better represent real world emission profiles in consumers' homes. The consensus positions made no mention of pellet stoves, hangtags or many other contentious issues. Often, issues were not mentioned in the document because they were not included in the discussions. For example, the issue of consumer hangtags, which industry opposed in their comments, was reportedly not raised by either side. Another very significant consensus position is that all boilers that are certified by New York (and tested by EPA methods) on the effective date of the rule should have their certifications extended for five years. This may mean that manufacturers will not have to undergo the time and expense of retesting any of their existing units for a five year period and instead focus their efforts on redesigning cleaner stoves. Virtually all the exempt and unregulated pellet stoves are already going through the certification process and many wood stoves are using the "K list" to get new five year certifications. These new certifications and "freshening up" of existing ones would have given most stoves certifications up to four years into the new rule. Possibly the biggest concession by the air agencies is the agreement to allow warm air furnaces to essentially remain unregulated for another year. This would allow many small manufacturers of outdoor wood furnaces to continue making and selling their units even through they may have no capacity or intention of meeting EPA regulations. However, the EPA has reportedly already told key stakeholders that they have no legal basis under the Clean Air Act Section 111 for Step 1 emission standards to be delayed beyond the effective date of the rule. If the EPA adopts these recommendations, it would provide relief to most manufacturers and retailers. However, the EPA could still set Phase 2 standards, which would take effect in 2020, as low as 1.3 grams per hour for wood and pellet stoves. Many observers believe that the EPA is not likely to require such a low emission level and some in industry say they would be relieved if the EPA settled at 3 grams per hour. a) Unregulated and exempt stoves cannot be manufactured. b) Retail sales of all exempt and certified stoves (up to 7.5 g/hr for non-cat stoves) cam continue for one year. c) Certification of stoves that meet Sept 1 levels (proposed at 4.5 g/hr) will be extended for five years or until Step 2 emissions standards take effect. a) Only New York certified heaters may be manufactured. c) Models tested to EPA's voluntary program and certified by New York will be deemed certified for five years. a) Provide a 1-year extension to continue manufacturing unregulated furnaces. b) Retail sales may be allowed for one year beyond the effective date. a) The transition to cord wood testing to certify new heaters should be implemented for Step 2 but will require a robust database and EPA approved method. a) Labs will provide 30 days notice of testing to states to allow for federal and state access to witness emission testing. b) All certification data related to emissions should be publicly available. c) Provide states with partial delegation of authority over some enforcement and compliance issues and prohibit them from action on other issues. The above summary does not capture all the detail and nuance of these five areas of consensus. Please refer to the original “Consensus Positions” for exact language that was agreed upon by HPBA, NESCAUM and WESTAR. "We commend NESCAUM, WESTAR and HPBA for undertaking this important effort and for their willingness to all make substantial compromises," said John Ackerly, President of the Alliance for Green Heat. 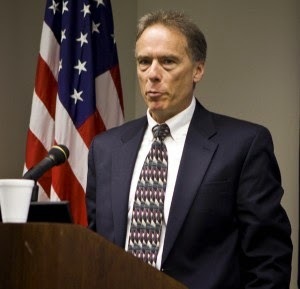 "We urge the EPA to adopt these recommendations in the NSPS and to provide the enforcement to quickly close any loopholes that may emerge after implementation," Ackerly continued. The consensus positions may give manufacturers and retailers more certainty about what they can build and distribute in the months leading up to the promulgation. It is also possible that the EPA has provided some assurance to industry about the likelihood of some of these provisions. The EPA may have already decided some of what was contained in the Consensus Position paper. For example, it is reported that the EPA had decided not to use cordwood for certification testing in 2015 months before the meetings between industry and air agencies. It is likely that most major decisions on the NSPS have already been made or are close to final as the final draft of the NSPS will be submitted to the Office of Budget and Management in October. Even the recommendations in the Consensus paper were late for consideration by the EPA. This consensus paper may not make litigation less likely, but it may reduce the number of issues that are likely to be litigated. Longer sell-through periods, for example, compared to the very short ones in the proposed NSPS, will decrease economic impacts on many small businesses, making the small business issue more difficult to litigate. Further, this effort between air agencies and the industry trade group that had been key protagonists throughout much of the debate around the proposal suggest a more collaborative relationship can be forged among these parties to help implement a new NSPS. NESCAUM is an association of the 8 northeastern states, including New Jersey, New York and the New England States. On NSPS issues, Maine is not being represented by NESCAUM and is taking more pro-industry positions. WESTAR now represents 15 states, from Alaska to New Mexico. Those states represent an even wider range of the political spectrum than those in NESCAUM, but none have made the open break with their association that Maine has.